Hire Our Heroes is proud to announce a partnership with Skillsoft, the leading global provider of high-quality, innovative, cloud-based learning and performance support resources. This will provide engaging content for all veterans to discover, access, and apply knowledge from over 450 channels. These channels have been developed by curating over 50,000 competencies that have been mapped out by experts and aligned to various competencies and skills valued by leading organizations. Did you know that cyber security professionals report an average salary of $116,000—that’s nearly three times the national income average. Veterans are some of the best-positioned workers to transition into much needed CYBER SECURITY JOBS! There is free training available just for you! The Federal Virtual Training Environment (FedVTE) is an online, on-demand training center with courses ranging from beginner to advanced levels. Veterans interested in getting into the cyber security field can take introductory cyber security courses. Elite cyber security professionals can take their skills to the next level with advanced course curriculum. FedVTE even offers prep courses for some of the most popular certifications in the industry. Ready to get started? Click the “Troop ID” button below to initiate a verification step. AWS Educate helps veterans transition into the civilian workforce and develop the skills necessary to pursue jobs in the high-demand cloud computing space. AWS Educate provides access to credits, training, and the option to choose their desired cloud career (e.g., Associate Cloud Architect, Network Operations Engineer, and Software Engineer). AWS Educate delivers a personalized path that includes content, knowledge checks, and badging that guides you through the learning process. AWS Educate is available to veterans, transitioning military personnel, and their spouses residing in the United States. Hire Our Heroes has teamed up with the SANS Institute to develop the CyberTalent Immersion Academy! The program provides no-cost training, certifications, mentorship and job placement assistance to veterans in the Cybersecurity workforce. New cohorts are coming SOON, check back often for dates!!! This is a highly selective program – only 15-20 applicants chosen from dozens eligible. Selected Vets get training and testing for three SANS certifications over a 2-4 month long learning blitz. After earning your certifications you will be introduced to employers ready to hire people with your training and experience. All of this is at no cost – you only need to provide the time and commitment to succeed.  – all at no cost to veterans. 1: Visit https://www.sans.org/cybertalent/immersion-academy/academies to view current offerings and requirements. 2: Choose the academy whose requirements you meet and that you’d like to apply for. VetForce’s mission is to impact the lives of veterans by helping them gain Salesforce training, certification and related employment. The biggest gap in the cloud is the ready supply of Salesforce-Certified professionals: administrators, developers and business analysts. Thousands of U.S. veterans transition from the military each month. Many lack the training and network to identify the best available opportunities in the civilian world. VetForce aims to bridge that gap through Training, Certification, and Placement. FREE SAP training for qualified Veterans provided by NS2 Serves! Training courses in SAP solutions geared for U.S. national security missions, leading to “Certified SAP Associate” status. This credential is valuable in many career paths in the U.S. and worldwide. The average starting salary for an NS2 Serves graduate is $60,000. Leveraging relationships with high-tech employers in the Bay Area to help graduates secure employment. The programs covers basic engineering, math, CAD and business communication. Throughout the programs, students build a CAD portfolio profiling their concepts and designs. Upon completing the program and passing the final exam, students receive a Certificate in Computer-Aided Design.